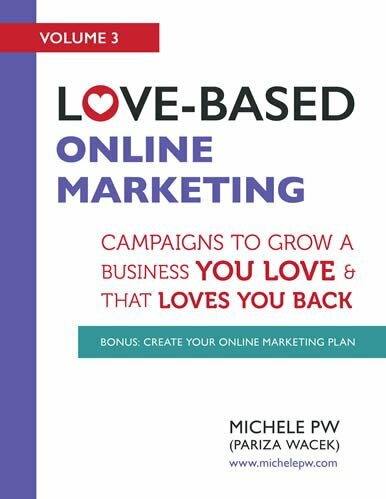 If you’ve been following my blog, you probably understand the difference between fear-based marketing and love-based marketing. But did you know that if you’re not in a love-based mindset, you’re going to have a difficult time writing great love-based copy? Here’s why: any fear-based emotions you experience around your business and/or your marketing will shine through in your marketing and messaging, both in terms of how you feel about it, and how your customers perceive it. For example, if you feel like marketing is slimy or arm-twisty, that will not only hold you back from writing promotional copy but also getting it out there. And if you’re experiencing marketing resistance, you may unknowingly sabotage your own efforts. Fear-based marketing often uses fear-based emotions like guilt, shame, or scarcity to get people to buy. 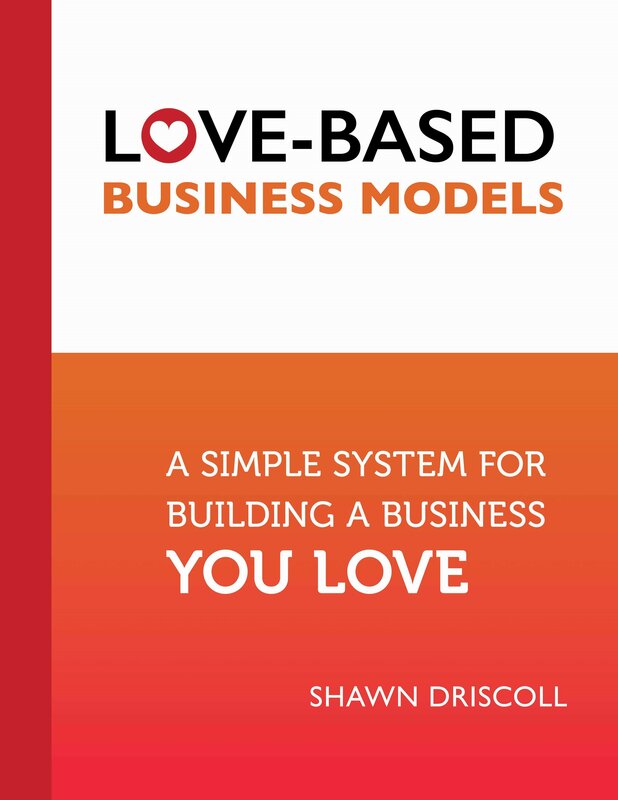 On the other hand, love-based marketing triggers love-based emotions like hope and abundance. 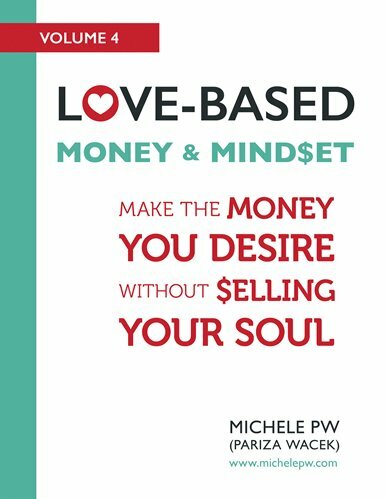 When you come from a place of love & abundance, you’ll attract, inspire, & invite your ideal prospects to become ideal clients! 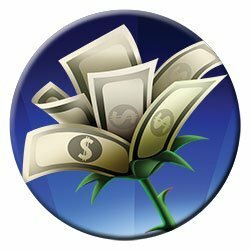 You’ll feel good about it, your prospects will feel good about it, and your business will thrive. It helps you feel good about what you write. 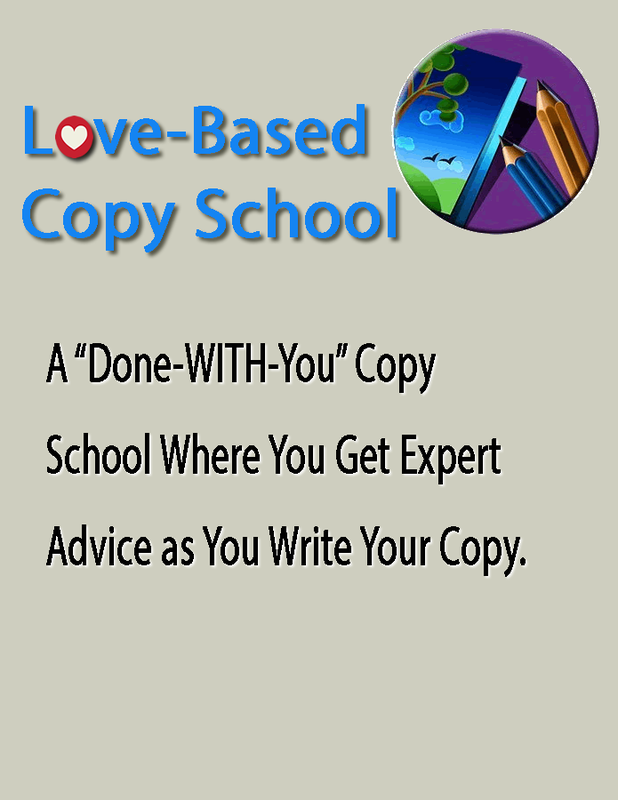 If you’re like so many of my clients, you just don’t like writing marketing copy. You feel like you’re twisting people’s arms, or being slimy somehow. But it doesn’t have to be this way. 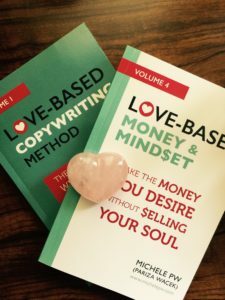 When you write copy from a love-based mindset, you realize that you’re simply providing your potential clients or customers with a choice about whether to work with you, to experience the solution you provide. You let them know you understand the pain they’re in, you present your product or services as the solution, and you step back and let them make that choice. It helps you get past marketing resistance. 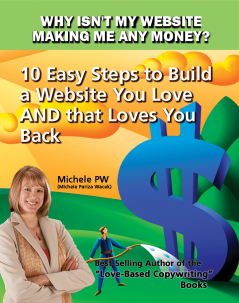 Marketing can be a huge trigger, because it brings up so many fear-based emotions. When you’re coming from a love-based mindset, though, you’re not thinking about all that “scary” stuff. You’re thinking about how to best let your prospects know that you’re available as the solution to overcome their pain points or problems. 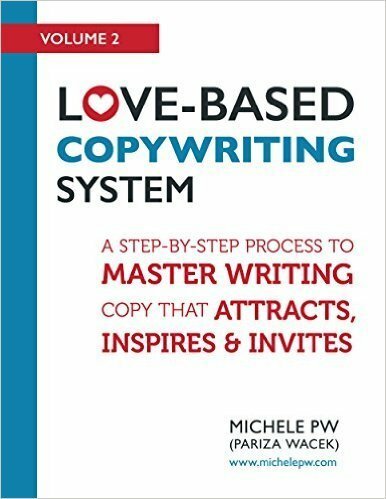 You’re feeling confident that your love-based copy will inspire just the right people to work with you, at precisely the right time. With this confidence comes the ability to recognize and move past marketing resistance that often results from fear-based emotions. It gives your prospects the space to make a choice, which feels so much better than pursuing them. 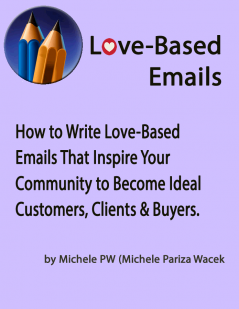 Love-based marketing copy is so effective when you’re writing it from a love-based mindset. Why? Because your prospects see you as a loving individual who cares about the transformation they’re preparing to make! Even if they don’t ultimately decide to buy from you, they’ll have seen that there’s the potential for transformation, and that they can choose a better way. They can choose to move beyond their pain. Even if they don’t do it by working with you, it’s possible that you’ve offered them a new vision for the future! 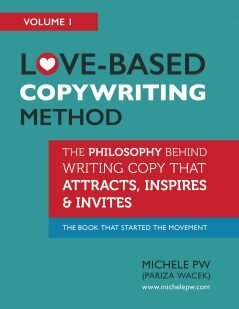 If this resonates with you, you may enjoy reading the first book in my Love-Based Copywriting series, Love-Based Copywriting Method: The Philosophy Behind Writing Copy That Attracts, Inspires and Invites. 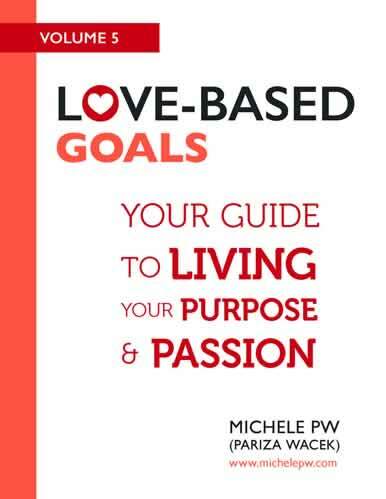 It’s available in both print and most eBook formats, and you can get it here.